Power View is a great tool that you could use to extract insights from data. Now combine the power of Power View w/ the new capabilities like Data Explorer that let’s you find, combine & refine data via Data Explorer. 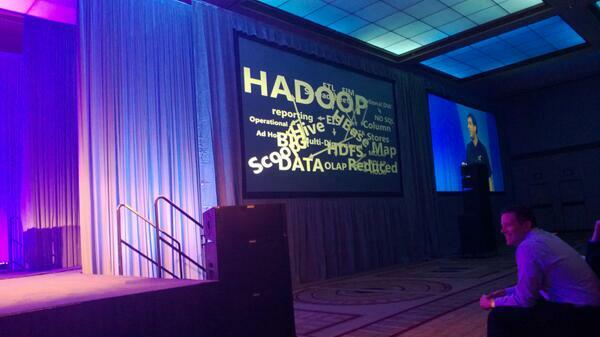 In the Demo, they combined data in hadoop w/ data in relational sources. This is Powerful! 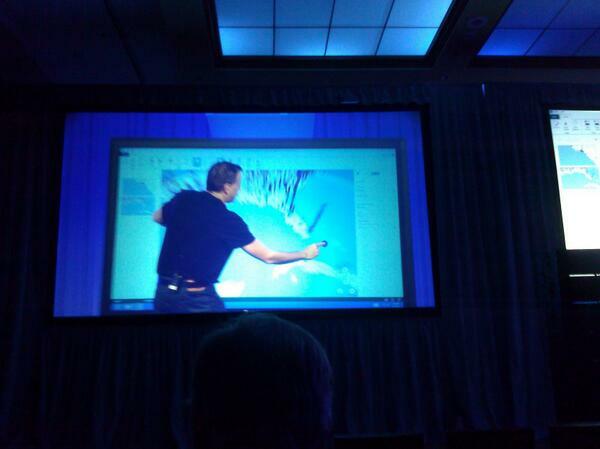 The Preview for GeoFLow in Excel was announced! Sorry for the poor image – but imagine a touch device of that size w/ an interactive data visualization that has 3D geo maps! Really interesting perspective on BI with the powerpoint example- yes, it ultimately boils down to simplifying the knowledge. Thank you for introducing two new tools to your data enthusiast readers like me- Data Explorer and Geo Flow. Looking forward to learn more through your series of blogs on PASS Business Analytics Conf. ’13 this week!